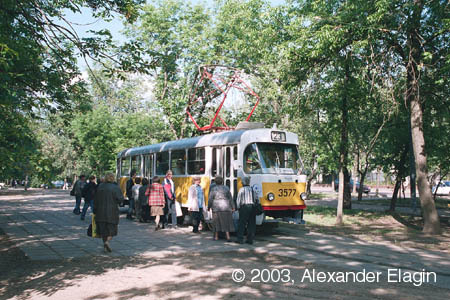 The last section of tramway tracks that once upon a time encircled the Young Pioneers Stadium stretches along the street named 1st Botkinskiy Proyezd. 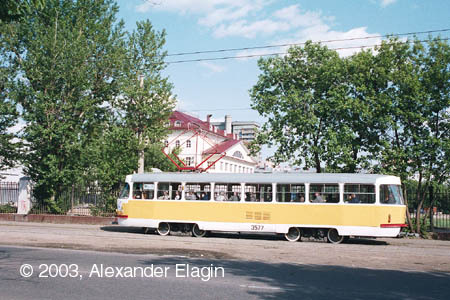 This short section terminates at a reversing loop of the same name as the street, but short as it is, its history counts for almost a century, for trams had been operating here before the October revolution of 1917. 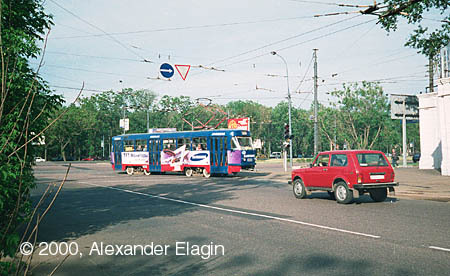 One cannot be fully confident in a future of this line in Moscow in our times because the long expected by motorists reconstruction of Leningradskiy Prospekt is already at hand. A single-track loop in a park since 2002 serves as a terminus of the more than once shortened route 23. The tracks are aligned along the fence of the Young Pioneers Stadium. The stadium was built in early 1930, but it seems that it will lose the last traces of its historic appearance, sharing the fare of already destroyed historic buildings in Moscow - Moskva hotel, Voyentorg department store and hundreds of smaller witnesses of long gone epochs. Sport complexes of young pioneers have surrendered in the last decade to the new masters of the situation: gambling-houses, motor-shows and other morbid enterprises. 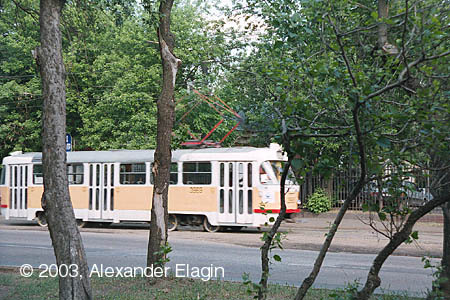 Until 2003, the deep trees on the other side of the road hid a building of the old tram station erected in 1944 along with many other tram stations of similar design. Very few of them have survived through our days, and this station also was radically rebuilt. 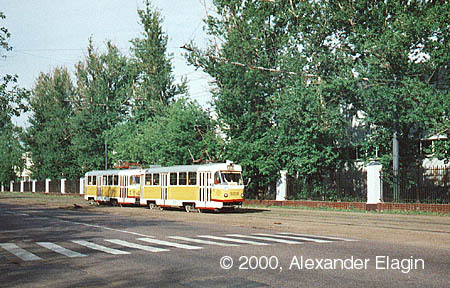 A turn from Leningradskiy Prospekt to 1st Botkinskiy Proyezd, with one of the gates of the Young Pioneers Stadium to the right and the territory of another large stadium Dinamo behind the row of poplars and lindens across the road.